Morton Grove, IL. December 5, 2017 – Consumer Guide® Automotive, the leading publisher of authoritative, unbiased new and used-car reviews for 50 years, today announced the recipients of its 2018 Best Buy Awards. A Consumer Guide Best Buy represents the finest balance of attributes and value in its class. For 2018, 42 Best Buys have been awarded in 21 classes, providing clear, easy choices for consumers. New or returning after an absence to the Consumer Guide Best Buy list for 2018 are the Audi Q7, Honda Accord, Honda Civic, Nissan Rogue Sport, and Toyota Camry. The Rogue Sport was introduced as a late-2017 model, and the rest are freshly or recently redesigned. Also new to the list for 2018 is the Chevrolet Bolt EV, General Motors’ first pure-electric vehicle available in all 50 states. “Affordably priced, and boasting more than 200 miles of real-world range, the Chevrolet Bolt EV serves the industry as an electric-car proof of concept, and is an excellent choice for consumers looking to limit their use of fossil fuels,” said Publisher Tom Appel, who led the editors’ selection process for this year’s list. 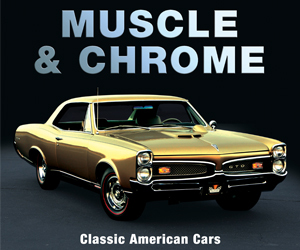 The complete list of Consumer Guide Automotive 2018 Best Buy Awards can be viewed below. 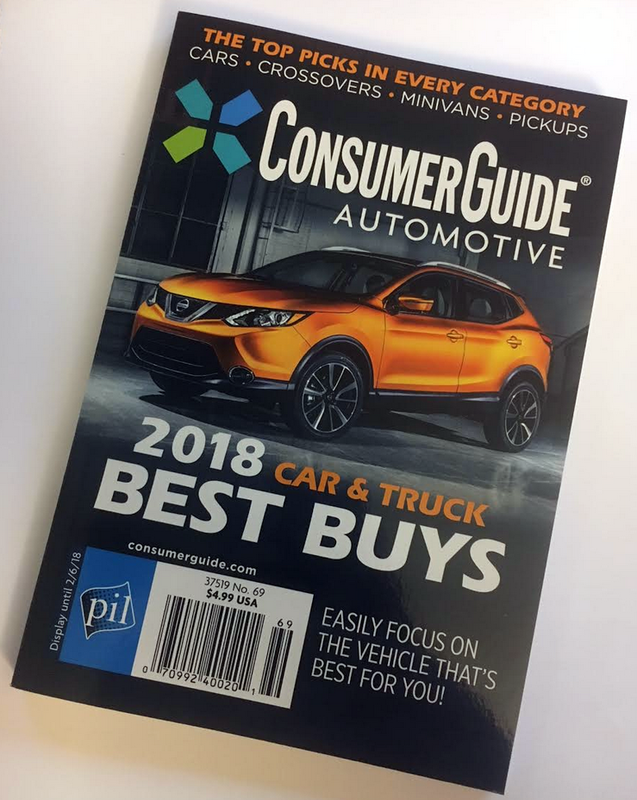 And watch for the Consumer Guide® Automotive 2018 Car & Truck Best Buys magazine on newsstands nationwide December 1, 2017. 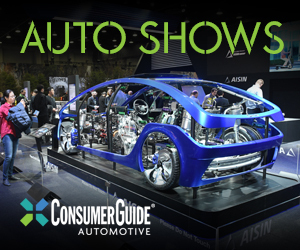 Complete reviews of the winning vehicles, as well as other pertinent information for in-market car buyers, can be found at Consumer Guide. For a daily dose of automotive news, test-drive reviews, humor, and history, visit the CG Daily Drive blog. 2018 Car & Truck Best Buys is on sale now. Look for it at newsstands and on checkout racks everywhere. Written by: The Daily Drive staff on December 5, 2017.on January 25, 2018.